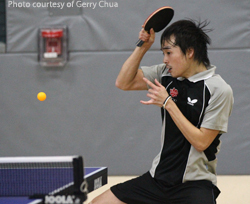 Congratulation to Tim Wang for winning the 2011 Western Open, the first stop on the 2011 JOOLA North American Tour! Thanks to all the table tennis participants this weekend. We hope you enjoyed it and are looking forward to coming back again in the fall! This entry was posted in 2011, News, Tournaments, Western Open. Bookmark the permalink.